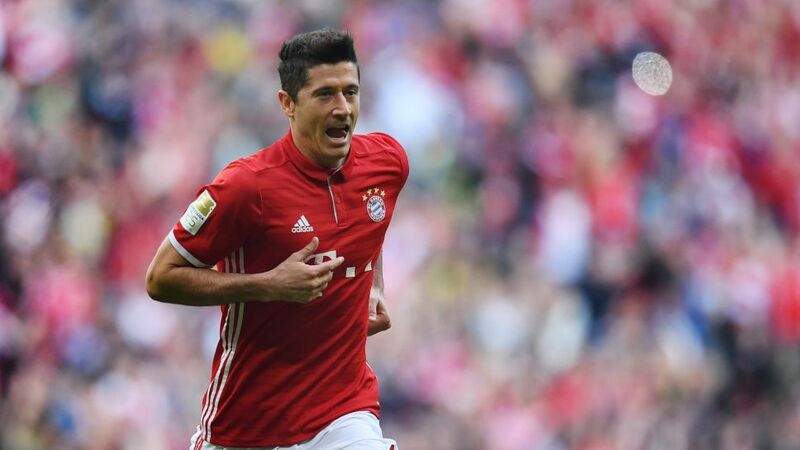 Lewandowski scored twice in the Klassiker before being subbed off with a shoulder injury. Bayern Munich goal machine Robert Lewandowski says he expects to be fit in time for his side’s Champions League quarter-final second leg tie against Real Madrid on Tuesday. The 28-year-old, who has scored 38 times in all competitions this season, came off with an injured shoulder in Bayern’s 4-1 Klassiker triumph over Borussia Dortmund last Saturday, meaning he missed the first leg – which Real edged 2-1 after a pair of Cristiano Ronaldo goals. Coach Carlo Ancelotti is expected to restore the Poland captain to the starting line-up, with Thomas Müller dropping to the bench. The Italian tactician has less options further back, though, with centre-backs Mats Hummels (ankle) and Jerome Boateng (adductor) still injury doubts.